Made out of carbon, the rigid carbon seat plate is the main part of the küschall Advance. Everything else has been designed and developed around it. The final design of the carbon seat plate was influenced not only by innovative ideas regarding advanced super lightweight materials, but also by a desire for an increase of the stiffness of the entire construction. The result is an outstanding driving performance and responsiveness combined to a high level of comfort. The small stripes at the rear of the seat plate follow the shape of the user’s body and thus improve the pressure distribution on the seat surface. Configurable and adjustable like no other wheelchair, the küschall Advance, has been designed to be customized and adjusted easily to each user’s specific needs. 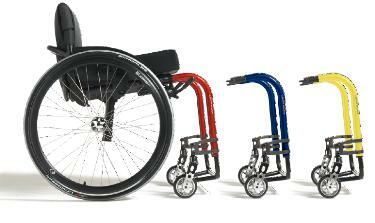 Not until today has it been possible to provide a wheelchair with step less adjustability at any time, with an accuracy in millimetres on following parts: rear seat-to-floor height, front seat-to-floor height, centre of gravity, knee-to-heel length, front castor angle, brakes position, backrest angle. Why could your wheelchair not match your mood or your clothes? 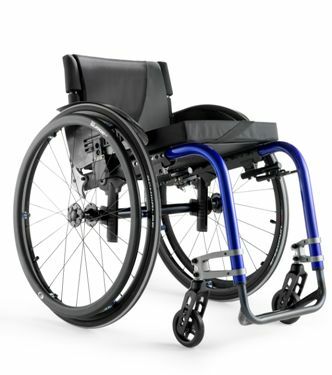 The Quick Release Frame option gives you the opportunity to change front frames set and also ensures easy transportation of your rigid wheelchair.